In case you have decided to undergo eye surgery, or you know of someone who is about to be subjected to one of the eye surgery procedures, there are several things that need to be kept in mind to help you prepare and heal better. Before going to the operating room, it is important to do a background check and get as much information about your doctor as possible. It is important to choose a professional who has done the surgery before and performed successfully. Experienced doctors are the best suited to handle the situation if complications occur during the procedure. It is common knowledge that before signing a contract, you need to read and understand it, especially the fine print. The same applies to medical procedures. Get as much information about the type of surgery you’re about to be subjected to. The easiest way is by asking your doctor as many questions as possible concerning the risks and the side effects associated with the upcoming surgery. Before the doctor embarks on the delicate procedure, he will most likely give you some requirements that you need to fulfil before the day of the surgery. Following these instructions to the letter is crucial because these are meant to ensure that you will be in the best shape to withstand the procedure. Choosing not to follow your doctors instructions could put you at risk or complications during or after the procedure. Things your doctor could advise include stopping wearing contact lenses from between two weeks and a month before surgery and resting enough prior to the operation. Immediately after the eye surgery procedure is performed, make sure that you have someone available to take you home. For any surgery to be performed, the patient has to be put under anaesthesia, and its effects wear off slowly. It is difficult to drive a vehicle under these conditions. In addition, an eye surgery procedure will leave you with blurred vision for a certain amount of time. It is not unknown for people to stop taking their medicine the moment they fell the pain is gone. This is very dangerous because the prescribed medicine plays an important role in completing the healing process. In addition to taking the medicine, taking good care of the eye is very important. Avoid rubbing and bumping it and avoid applying certain lotions, make-ups and creams because all these affect the ability of the eye to heal naturally. It is important to be aware in advance of the after effects of the surgery so that in the event that certain things begin to happen, you will be expecting them. If you are experiencing unusual symptoms you should contact your doctor immediately so that he or she may give you direction on what to do, or even call you back for further check-ups. 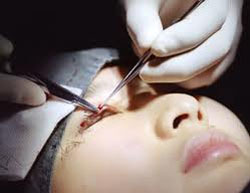 Eye surgery is a very successful operation in most cases and with eye surgery advice you should feel relaxed and comforted both before and after the operation.